Well I made the mistake of telling NON Frugal Coupon Dad about 6pm – especially upon seeing that Kenneth Cole shoes are also on sale for men this weekend for $24.95. Yes, 6pm is cheap – but not when he wants to buy 8 pairs! Also, Nine West for women today have many shoes priced $24.95. Check back tomorrow as because Nike apparel is 50% off! Get up to 10 FREE pregnancy or ovulation tests form Sacred Heart Mission Here . Thanks, Money Saving Mom. 6pm has ALL of the Gabrielle Rocha shoes (on the daily deals) marked $7.95 (regular $75 to $160) – HURRY Sizes are going fast!!!! Only $6.95 shipping. If it reads more, add it to your cart and see if the $7.95 comes up. It did for a pair of shoes I checked that were $145! Crocs’ Friends & Family weekend is here! 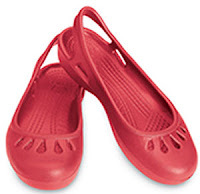 Starting today through October 12, 2009, get 20% off on Crocs items when you enter the code friend20 at checkout. Plus Free Ground Shipping on all NEW Fall Styles! Start shopping Here. 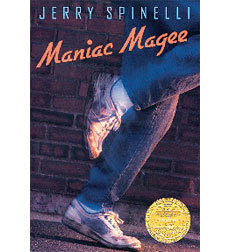 One of my favorite books “Maniac Magee”- ANY older elementary/younger middle school kid would LOVE this book (both my classroom boys and girls enjoyed it) Only $2.68 after code. Check out This post Charlene has about how to get a Cheap Fax Machine at Staples. Town & Country (3 year) Here. 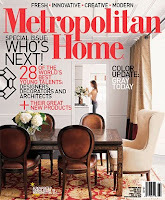 Metro Home (1 year) Here. Muscle and Fitness (1 year) Here. Business Week (1 year) Here. Amazon has some gift card promotional deals on their magazines right now. With the purchase of various magazines you can get a $5, $10, or $15 gift card. Go Here to see their full list of items. If you already receive these magazines, you can renew them (just use the same name and mailing address.